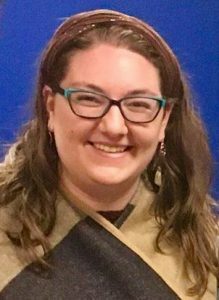 Lianna Mendelson will join the Temple Shalom team twice-monthly next year as our Student Cantor to support our music program for Shabbat services, b’nai mitzvah services, Shabbat Morning Worship and Torah Study, and Religious School. Now completing her second year at HUC-JIR, Lianna hails from Rochester, New York and graduated from the University of Rochester with a degree in Music and minor in Hebrew. She has experience leading Erev Shabbat and Shabbat morning services and Torah study, High Holy Day services, teaching in religious schools, tutoring b’nai mitzvah students, and working at Jewish camp and at Hillel.